Police say they have made an arrest after reports of a burlgary taking place in Portadown on Saturday. 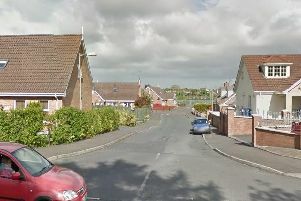 “Yesterday a home was broken into on Derryanvil Road, Portadown,” say the PSNI on their Facebook page. “A vehicle was stolen but later crashed. A male was arrested by our guys at the scene for driving whilst unfit, aggravated TADA (when you steal a car then crash it) driving with no insurance, driving with no license, and burglary. Police have urged the public to report suspicious activity, on 101, or in case of emergency, 999.